Natalie is an accomplished strategy, sales, marketing, and business development professional with extensive experience across luxury and lifestyle sectors. A native New Zealander with dual NZ and UK citizenship, in 2005 she was hired by Rob Hersov for a role in membership sales at Exclusive Resorts, Europe, for which she relocated from New Zealand. In 2007 she established the London office for Boatbookings.com – the world’s first online yacht charter company; fulfilling yacht charters for clients in the Mediterranean and Caribbean. 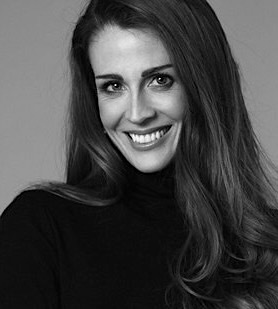 In 2009 she helped set up Adoreum Partners, where she worked as Sales Director until 2012. Thereafter she worked in sales and business development roles for a number of (predominantly start-up) companies; she continues to advise select businesses in a consultancy capacity. Natalie has spent the past 13+ years in London connecting people, businesses and ideas – involving strategic networking, launching and incubating and accelerating start-up projects, driving sales and PR, and introducing investment opportunities. She has raised significant sums of working capital for a number of the enterprises with whom she has been involved. She is delighted to have rejoined the Adoreum team.